Spanning much of Illinois, Indiana, and Wisconsin, Chicago and its suburbs make up America’s third-largest metropolis, both in population and in wealth. 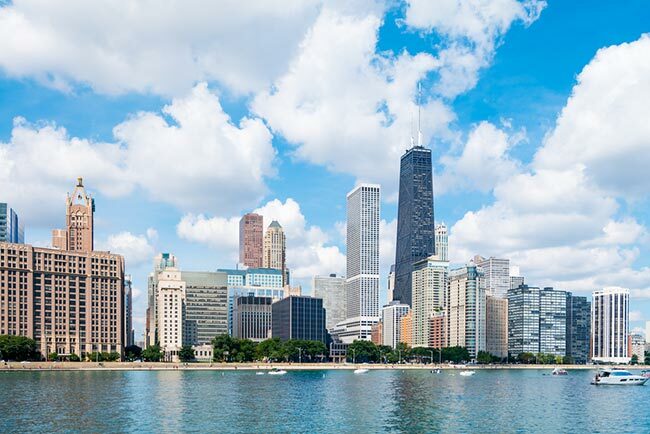 Often called “Chicagoland,” this region is home to more than 9 million permanent residents, with countless visitors filtering through the area for work, pleasure, or education. With expedited freight services from ExpeditedFreight.com, Chicago’s businesses have no trouble providing jobs, housing, and entertainment for all these individuals, providing a strong foundation for the city’s continued economic success. Expedited shipping is so important in Chicago because of the city’s diverse, complex business environment. The metropolis is home to an array of manufacturers, engineering firms, food processing companies, and publishers, all of which have difficult supply needs. As an example, consider the challenges faced by Ford’s Far South Side plant and other local automotive facilities. Ford produces new vehicles on tight schedules, and thus needs its carriers to bring in supplies rapidly and consistently. Only carriers that know how to find quick, clear routes into and out of the Chicago area, all while avoiding damage to the supplies they’re transporting, are capable of meeting this demand. Finding safe, speedy routes into and out of Chicago is ExpeditedFreight.com's specialty. An express trucking company with a long history serving manufacturers and other businesses in large metropolises, we have no problem getting your goods to you on or ahead of the deadline. 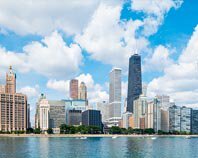 We operate in the Windy City proper as well as in other communities in the area, from Gary to Joliet to Elgin to Naperville to Schaumburg to Hoffman Estates. No matter your location within Chicagoland, we are there to meet your logistics needs. Rather than simply following the shortest route into or out of Chicago, we make a detailed plan that takes into account anything that can happen during the delivery. We steer our trucks around damaged or bumpy roads, areas of frequent congestion, and all other obstacles that could lead to delay or harm. This lets us get your goods to you as quickly as possible without running the risk of damaging them. Besides planning, ExpeditedFreight.com invests in sophisticated tracking technology, which we use to monitor each truck from start to finish. If an obstacle arises in your path, we will know ahead of time, contact the truck, and steer it around to minimize delays. Likewise, if a truck breaks down, we will know its exact location, and can dispatch another vehicle to pick up your items and complete the order. Because we maintain vehicles and coverage throughout the US and Canada, we never have trouble getting a backup truck or van to your items in time. 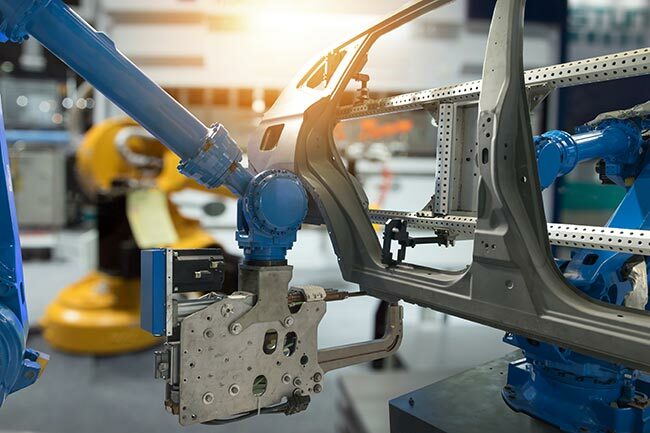 With more than 4,000 workers and direct access to 9 different automotive suppliers, Chicago Assembly is both one of the largest plants in the Midwest and the nation’s oldest automotive plant that is still in operation. The facility has long produced some of Ford’s most important vehicles, including the original Model T, the Model A, the Galaxie, the Torino, and the Marquis. The company currently uses it to make the Ford Taurus and the Ford Explorer. Located at 12600 S. Torrance Avenue in the Hegewisch neighborhood of Chicago, the plant is perfectly situated to meet demand all over the American Midwest. Because so many of its suppliers have set up shop nearby, Chicago Assembly can get most of its inputs with ease. Nonetheless, the facility does suffer from some logistical issues, especially when it needs specialized parts for customized orders. Given its location in the heart of the Chicago metropolitan area, where more than 9 million people live and thousands more regularly travel through, bringing in such supplies is no easy task. Chicago Assembly must thus constantly struggle to maintain its high levels of flexibility and productivity. ExpeditedFreight.com helps Chicago Assembly meet and overcome these shipping challenges year after year. We specialize in emergency expedited delivery services, allowing Ford and all other clients to bring in every supply on short notice. Combined with our commitment to safety and communication, we keep Chicago Assembly and all other facilities like it running smoothly at all times. ExpeditedFreight.com offers dedicated shipping services, reserving a truck just for you. We also place two drivers on each truck that travels over a certain distance, requiring the drivers to take turns working and resting. For more information on all our tactics to deliver your goods safely and quickly, visit ExpeditedFreight.com today or call our 24/7 customer service team at (773) 966-2800.